For a refreshing cool-off fruit drink, try this simple recipe. Grown-ups can use a big, heavy chef's knife to cut the watermelon. You will have more than you need for one recipe so make watermelon balls with the rest for snacks. 1. A grown-up should carefully cut the watermelon in half. Use the melon baller to scoop out the watermelon fruit until you have 2 cups of fruit. 2. Cut the lemon in half. Squeeze one half on a juicer. Measure until you have 2 tablespoons of lemon juice. 3. 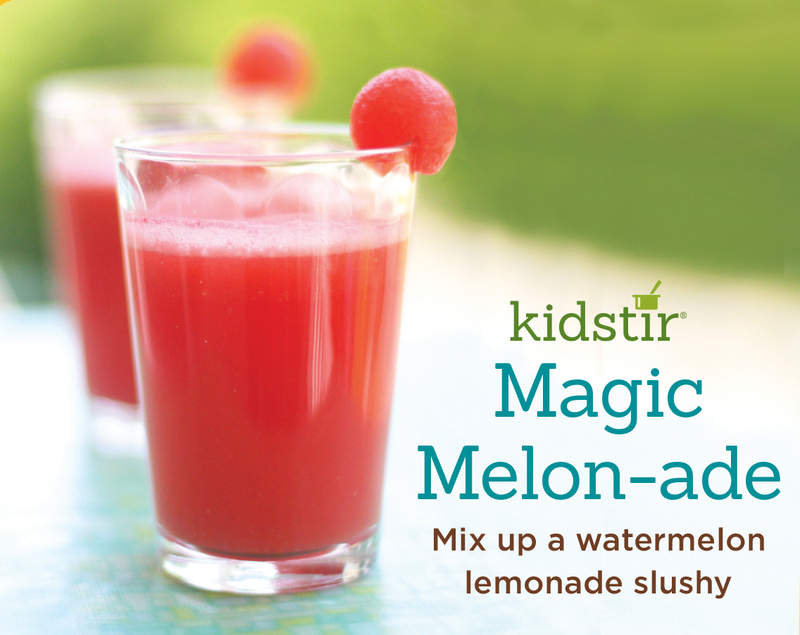 Place the watermelon, lemon juice, ice, and sugar or honey into a blender. Blend for 3 minutes until it turns slushy. 4. Pour into glasses. Make melon ball garnishes. Cut a slit with a picnic knife, then slip the melon ball on the rim.